In Māori legend the seabirds and the birds of the land went to war. Shags instigated the battle after the pied shag of the sea visited the inland black shag, and decided that he preferred the taste of river eels. On returning to the coast, he called upon the seabirds to invade the land birds. 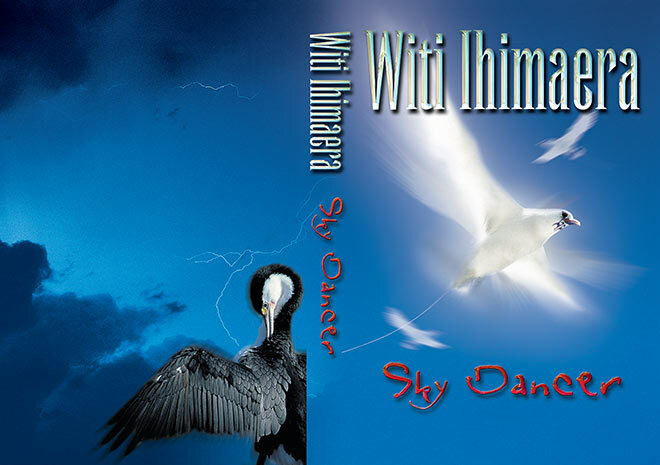 Author Witi Ihimaera took up this legend and developed a novel, Sky dancer, around it. This is its cover, with a pied shag and a tropicbird bearing a moko or chin tattoo.